Last year KnitPro very generously created a project in aid of Knit for Peace. Patterns for twelve gorgeous blanket squares, created by high profile designers, were released weekly through our website. They are now available to purchase as one e-book for just £6. Along with the patterns the e-book also contains ideas for blanket layouts and instructions for different borders. Click here for more information and to buy the complete set of patterns. Knit for Peace has created a report on the health benefits of knitting. The report explores evidence-based research and the results of a survey of 1,000 Knit for Peace knitters. The results showed that knitting helps counter depression, slows the onset of dementia and reduces anxiety. To discover more download the report or buy a physical copy from our website. You can explore the therapeutic benefits of knitting at our Mindful Knitting workshop with Sarah Hazel, on Saturday 5th August. You will guided through a series of activities and exercises that will help you observe how you relate to your knitting, and how you can fully engage with yarn and needles to achieve a greater sense of well being. 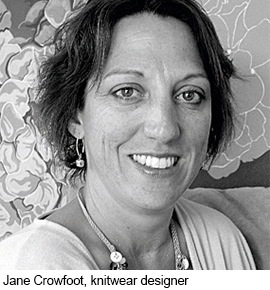 Join us, and expert knitter Jane Crowfoot, at the Locanda San Barnaba Hotel, a 16th-century palazzo located at the Dorsoduro district. The hotel is ideally located near all of the main sights and is air-conditioned. We’ll be knitting in the salon and the garden terrace. Lots of time for sight-seeing, friendly atmosphere. 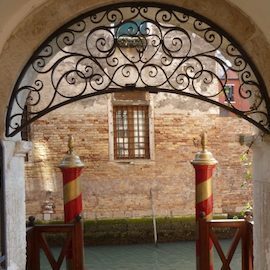 Costs from £700 for four nights (depending on room chosen) includes breakfast and local taxes. Price does not include flights. The price includes a donation to support Knit for Peace’s work. Only 1 place left! Knit for Peace Festival – Save the Date! 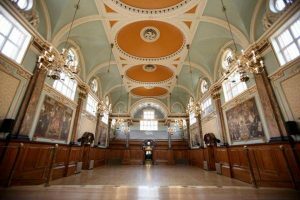 We have a date for your diary – on Sunday November 5th we will be hosting The Knit for Peace Festival at Chelsea Old Town Hall, Kings Road, London, SW3 5EE. We will have stalls selling a wide variety of yarn, kits, beautiful donated knitted items, haberdashery, Christmas cards, workshops, delicious food and drink and a tombola! We hold a variety of workshops at our beautiful Hampstead offices where you can get advice from expert knitters. For more information on the workshops and how to book visit our website. *Our workshop on the 5th of November will be held at our Knit for Peace Festival in Chelsea. Thank you for all your donations over the month. Your knitted items have reached many of those in need, nationally and internationally. We’ve sent items to hospitals, neonatal and maternity units, domestic abuse refuges, Women’s Aid centres, refugee charities, food banks, addiction recovery centres, international charities tackling Fistula, and homelessness charities. Tens of thousands of items have also been sent to refugee camps in Kurdistan. Thank you for your donations and warm wishes! Visit our new Instagram page for information and pictures of your knitted items.